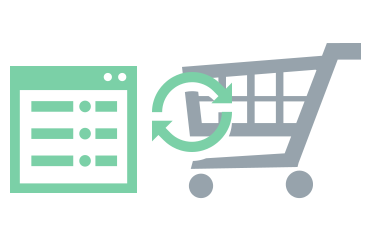 Take advantage of Recent Data Migration in the situations when you didn’t have a chance to finish setting up your Target Store right after the shopping cart migration with Cart2Cart. Because you have had new entities coming to your source store in the meantime - order Recent Data Migration Service to solve this. Cart2Cart will migrate all the products, customers and orders (or only those entities you select) that were added to your source store right after the previous Full Migration. The cost of Recent Data Migration will be calculated depending on the amount of entities you import additionally (the price is lowered and you get 50% off the default migration price). For example, if you need to additionally migrate up to 1000 products, 500 customers and 500 orders, the price for the Full Migration would be $69, in case you perform Recent Data Migration you’ll be charged only $34,5 for this amount of data. Note, $34,5 is the minimum price for the Recent Data Migration Service. Extra options are also available with Recent Data Migration Service. The price of additional functions remains the same as during standard migration. Note, the additional option “Preserve order IDs” will be available in case you are migrating to Shopify or WooCommerce or if you haven’t created new orders on the new store. Once you have the fresh orders on the Target store - the function will not be active. Contact Support Team and our tech team will check your migration. 1. Recent Data Migration service doesn’t allow to update items and synchronize stock on your target shopping cart, it only adds new entities from the source store to your target store catalog. 2. It is highly recommended to put your online store activity on hold until recent data migration is completed. Do not clear data from source store and add to target store when recent data migration is performed. For additional information on your Recent Data Migration Service, please follow Cart2Cart contact form. For detailed prices of the migration service, checkout Cart2Cart Migration Estimator. In case, you’ve ordered Data Migration Service Package, which was successfully completed some time ago, you can still order recent data migration. Such service requires additional customizations and that’s why will be calculated in a different way. For more details look through our FAQ.